Selling in over 15 countries, JUST eye fashion is a fresh, fun, interchangeable temples system, offering the highest quality frames and temples in a wide range of colors and styles. JUST eye fashion will be exhibiting at the OPTI 2015 show in Germany! 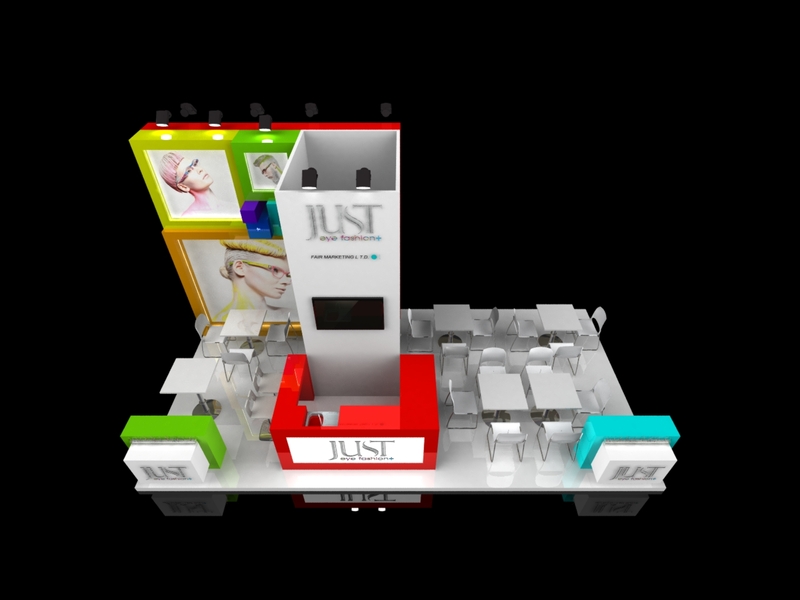 The Just Eye Fashion Booth Design for OPTI 2015! With over 50 years of experience in this unique field, exporting products to more than 30 countries in all five continents, Ofertex has acquired a worldwide reputation for innovative, excellent, high quality products. 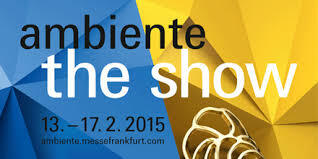 Ofertex will be exhibiting at the Ambiente Frankfurt show! We've had this channel for quite some time. Recently we decided to revive it. The IsraelExporter.com offers a very focused and structured service for Israeli export companies seeking to open new markets. Our mother company Skylimit offers the big picture (BI,biz dev..) to Israeli companies. 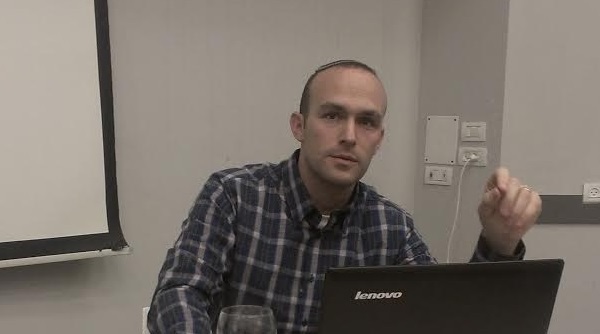 In addition Skylimit helps foreign companies interested in selling to the Israeli market. Cargo theft is a growing global concern with stolen loads resulting in thousands, even millions of dollars worth the lost products. Cargo theft is increasing and companies are looking into more secure trucking companies who incorporate the latest technologies on their fleets. Australian based company SteelSafe offers a unique solution to help combat this global concern. More and more companies are integrating the SteelSafe technology in order to effectively secure their cargoes. In a nutshell: When a truck equipped with this device is stolen, the owner can track it with the device’s GPS system and using a mobile phone or computer, activate the system which will then release air from the brakes, slowing the truck down and stopping it within 5 minutes. From vehicle and fleet tracking to control, Israel today is a global leader in the vehicle safety industry. SteelSafe expressed interest in entering the Israeli market and chose to work with Skylimit. 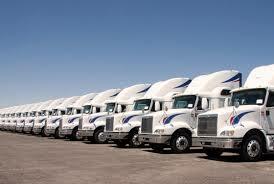 The Skylimit team contacted the leading vehicle tracking companies in Israel. Several companies expressed interest in learning more about SteelSafe. The Skylimit team scheduled meetings with these companies. In each meeting with the companies we introduced the SteelSafe technology, the in-depth market research and market potential. After paving the way for SteelSafe, the SteelSafe senior management team will be visiting Israel soon to meet with the Israeli companies interested in the SteelSafe technology. Lageen Tuboplast Ltd is one of Israel's leading manufacturers of packaging solutions for the pharmaceutical & cosmetic industries. Lageen approached Skylimit (Skylimit.co.il) with a request to help them identify and connect with relevant distribution channels in South Africa. The Skylimit and IsraelExporter.com teams worked together on this project. Sklylimit is the ‘mother company’ of the IsraelExporter.com and they provide the ongoing, in-depth business development and sales for companies. 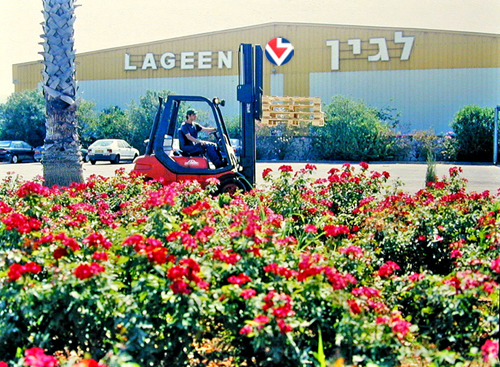 Lageen is currently exporting to over 30 markets around the world. Several years ago they opened up a local office in South Africa and began selling to several manufacturers in the country. Lageen saw great potential in the South African market and viewed the South African market as a gateway to other African markets. However activity was still slow in South Africa and the HQ in Israel was upset with the office operations in South Africa since they were not reaching expected sales targets. Lageen approached Skylimit with a request to help them identify and connect with relevant distribution channels in South Africa. Lageen was planning on flying out to South Africa with the hopes to meet new distributors and create new partnerships. Skylimit brought on the IsraelExporter for this project to conduct the research of relevant distribution channels. The IsraelExporter has been developing in-house technologies and methods that allow us to effectively research relevant distribution channels in any industry. After three weeks of in-depth market research we were able to come up with a list of 30 companies that looked relevant. Together with Lageen we cut down the list to the 12 most relevant companies. We then identified the most relevant professionals to approach within these companies and their contact details. After the research was completed the Skylimit team continued with the project and connected with these companies and successfully secured 8 meetings in March for Lageen. Lageen recently returned from South Africa and contacted us to let us know that all 8 meetings were a hit! They will hopefully be returning to South Africa very soon to close some deals and continue moving forward in the South African market. In addition Lageen mentioned that all meetings allowed them to understand the South African market and it was a great learning experience that will allow them to effectively plan ongoing activities in South Africa. 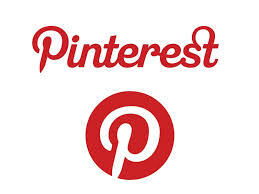 The IsraelExporter service is a very structered and result-oriented service. Our goal is to provide the most relevant information that will allow our companies to quickly move forward with the most relevant distribution/channels partners. When clients are interested in the ‘big picture’- the Skylimit team steps in to manage the entire ongoing business development and sales process. The combination of the IsraelExporter with Skylimit provides a very powerful focused service for companies who are looking to export and sell more. As leading manufacturers and suppliers in Israel of high quality gluten-free baking mixes - Bakefreely is now focusing on distributing their knowledge (and products!) overseas. BakeFreely markets exceptional flour mixes for the manufacturing of gluten free baked goods. Being part of the Bar-El Bakery in Israel (L.D Bar-El Ltd.), Bakefreely is experienced in developing and manufacturing a wide range of gluten free products. BakeFreely markets their products in the form of readymade dry mixes for manufacturing high quality, gluten free baked goods with ease. Bakefreely products are sold to the celiac intolerance and health diet markets and can be found in retail chains throughout Israel. Yesterday we had our first distributor/channel partner sourcing seminar training for Israeli export companies in the following industries: wine, cosmetics, surveillance and industrial products. 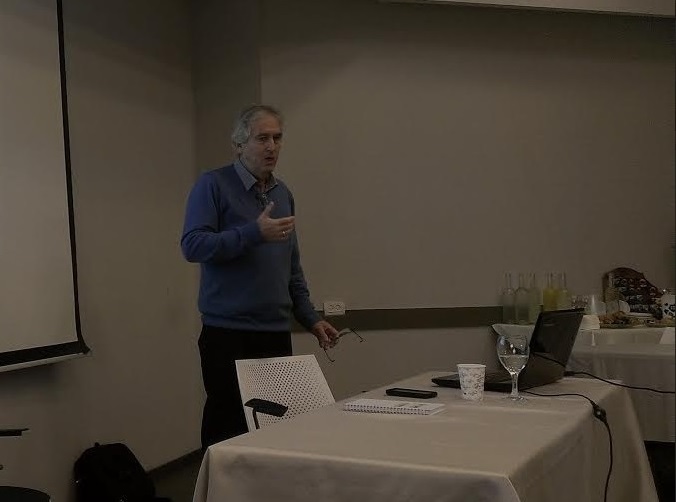 At the seminar we introduced a wide variety of tools and techniques the IsraelExporter.com team uses to source the right distributors and channel partners for Israeli export companies. Our Director of Marketing Hillel Porath discussing distributor sourcing tools and techniques. Produced in the Galilee, Karat Caviar one of the most established fish farms in Israel and a pioneer of ecological preservation in the field of aquaculture since 1939. Caviar Galilee has been growing Russian sturgeon (Acipenser gueldenstaedtii) since 1992. The Russian Osetra fingerlings were imported to the Caviar Galilee Farm directly from the Caspian Sea and raised in conditions closely approximating their natural habitat. Karat Caviar have succeeded in improving the environmental conditions in which the fish develop. The Farm combines traditional methods of production with modern sturgeon breeding techniques, resulting in delicious Karat Caviar. 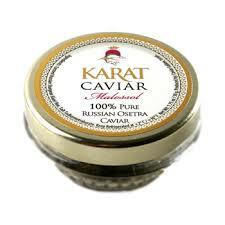 Karat Caviar has become very popular in various high end luxury food markets around the world. The company’s specifically developed and manufactured range of products provides comprehensive water supply chain solutions for Emergency sites and 3rd world population, covering every aspect of the water provision process - from purification and transportation to distribution and personal supply. Upgrade Solution's Portable Quick Tanks are ideal for storing water, liquids, or dry foods. Manufactured to international standards, these versatile tanks are suitable for a wide range of industries and applications including agriculture, industry, fire and rescue, emergency relief and more. The tanks are manufactured from a melted thermoplastic sheet (such as PVC or polyurethane) and attached to a galvanized net covered with PVC. The tanks can also be supplied with a cover, to protect the contents from contamination, evaporation, or changing weather conditions. 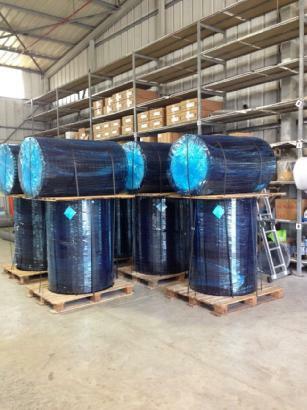 Upgrade is now shipping 10 portable quick tanks of 50m3 to South America for agriculture use. 10 Upgrade portable quick tanks ready to go! A key factor in safe and effective laparoscopic surgery is the surgeon's ability to conveniently view the working area and create a good surgical window in a consistent, controlled manner. Developed by Ezsurgical, A-Lap™ is the first 3-Dimensional "hand-like" laparoscopic retractor. Features include a soft and compliant mesh controlled by an intuitive handle design, allowing the surgeon to manipulate and lock-in the degree to which the device is opened. A-Lap™ (the A-Lap™ Type N) design enables conveniently "wrapping" a large volume of tissue, by accepting the natural topography of the organ, thus simplifying soft tissue retraction and reducing 'slippage' of tissue during retraction. The A-Lap™ 3-Dimensional "hand-like" design allows optimal soft-tissue retraction for General surgery, Gynecology and Urology procedures. 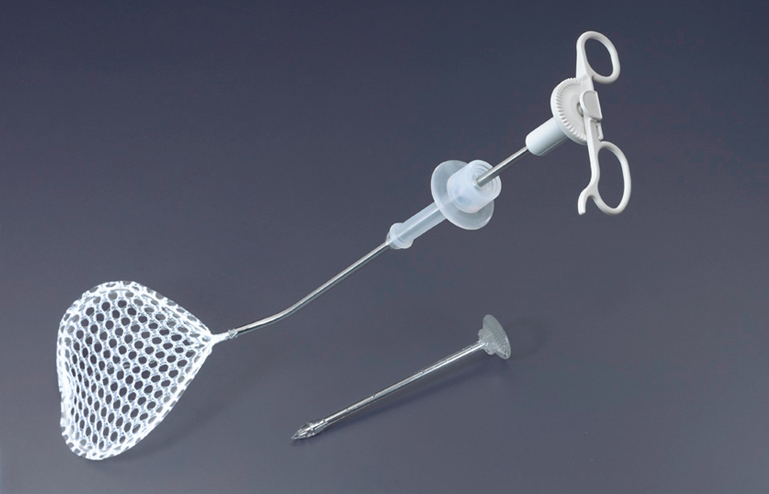 A-Lap™ is packaged with a dedicated soft flexible port, which can be used with any 5-6mm laparoscopic tool.